Take this quirky title by Atlus. In between long stretches of cinematics where the story unfolds, you will spend countless hours trying to climb walls made of various types of blocks. And yes, that's just as pointless and soul-killing as it sounds. If you stick this game out until the end, there will phrases that you'll never be able to get out of your head. Phrases like, "Now's not the time to be dead," for instance. Oh, and "EDGE!" There will also, however, never be another chance to see your skinny, boxer'd and horned avatar scrambling away from a giant, screeching and murderous, um…lady part. There may never be another game where the calm female voiceover advises, "Child with chainsaw has appeared. It's the killer. Do not die." Hey, yeah, thanks for the advice. I'll work on that. So who is that crazy girl Catherine, with her blonde pigtails and her lingerie dress? Why does no one else remember seeing her with me? Will she end up by your side, or will it be smart, responsible Katherine? Keep climbing those blocks, buddy, and you'll find out. Just don't forget to bring some popcorn, because you'll be spending almost as much time watching this game as you will playing it–or dying to it. Silent Hill: Homecoming, the PC, Playstation 3 and Xbox 360 title that promised a return to the misty loneliness of a mostly abandoned small town, was the sixth game in this loosely defined series. Part of what made the first few Silent Hill games so great was that your protagonist was just an ordinary person. No bulky strength, no super powers; Harry would actually fall off of porches if you weren't careful, for pete's sake. He, James and Heather (the main characters from the original, second and third games, respectively) were people that we could imagine knowing, if not exactly being. Silent Hill: Homecoming, by contrast, featured a new mechanic in dodging incoming enemy attacks. Wait, wait, isn't Silent Hill about mainly avoiding the attacks? Staying quiet, turning off your light when enemies approach and only engaging in battle when you absolutely have to? Yes, so it had always been. Now, however, you had to pilot Alex Shepherd, a returning war soldier. We have to assume that Alex is going to be a bit tougher than Harry and James, and we're quickly proven right on that aspect. 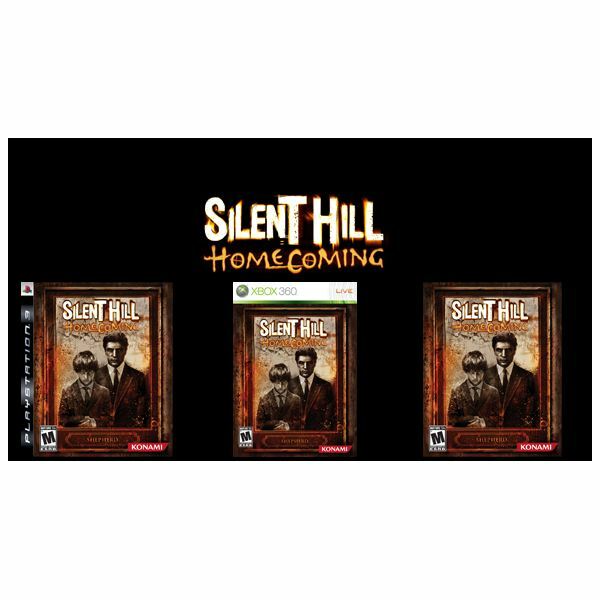 Quick and light attacks, slower and more damaging attacks, combinations–no, no, this is supposed to be a Silent Hill game! If you don't get that dodge mechanic down quickly, you'll soon find yourself at an impasse and be unable to continue the game. And that's a real shame, because the story in Homecoming is the one area where it makes a return to heart of the series. So practice that dodge for as long as it takes, and then settle in for one of the best stories in the SH franchise since Silent Hill 2. If you've never played Ico, it's not too late. The game has actually aged rather well for a 2001, and even if platforms and puzzlers aren't your thing, you'll want to check it out for the tale of the boy born with horns. An eerie, sparse castle is the setting for most of the game in which you control the small boy, Ico. At some point, you'll find Yorda, the princess, and decide that you cannot rest without guiding her out of her dangerous surroundings. You're armed only with a stick, and you can't really defeat the shades that torment you, you can only beat them back a bit while trying to figure out how to get from point A to point–hey, Yorda, this way, you twit. You'll know you made the right choice in sticking this one out once you've met the evil Queen. While you and she can communicate, Yorda's language is never translated for you and that is part of what makes your bond to her so strong. If you want her to come with you, you'll need to take her by the hand and lead her. Does Yorda know what the Queen, her own mother, has in store for her? Are you rescuing her, or is she releasing you? You'll have to climb a whole lot of castle wall to find out, but the payoff is one of the most emotional scenes in video gaming, ever, and you won't soon be able to forget it. Catherine, the Game official website. Plot details from the author’s game play experience.